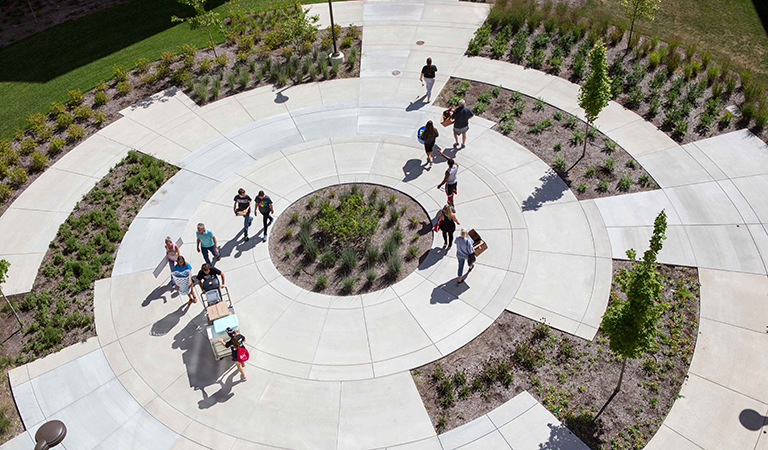 A bird's-eye view of #JagsontheMove during @IUPUI Move-In Day. 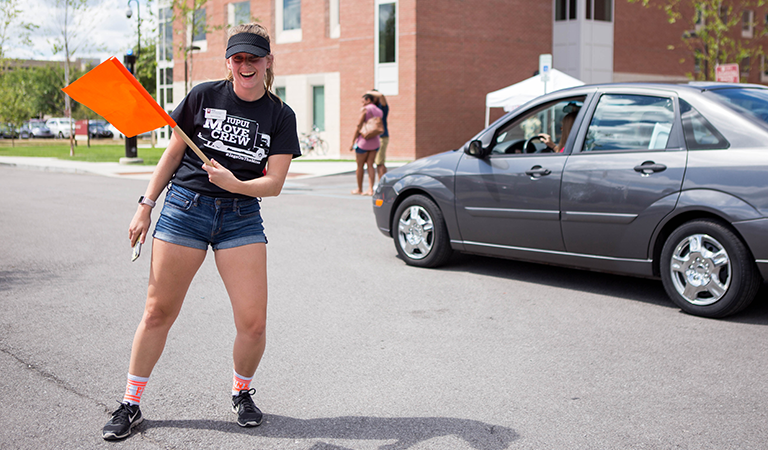 An energetic @IUPUI Housing and Residence Life staff member directs traffic during Move-In Day. 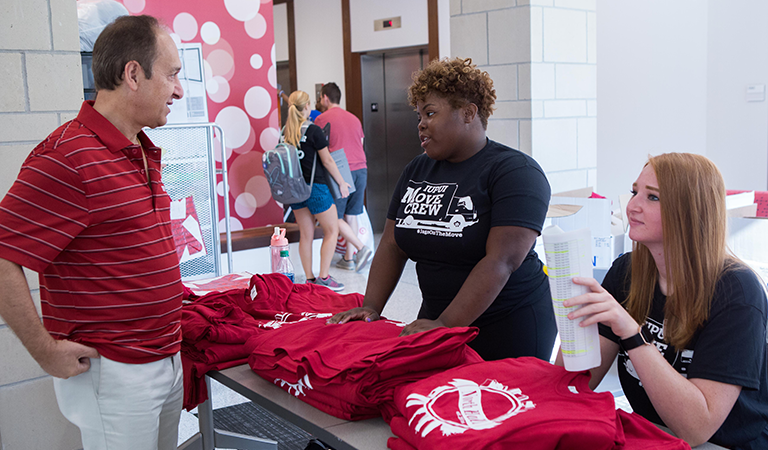 Chancellor Nasser H. Paydar talks with @IUPUI Move-In Day staff at North Hall. 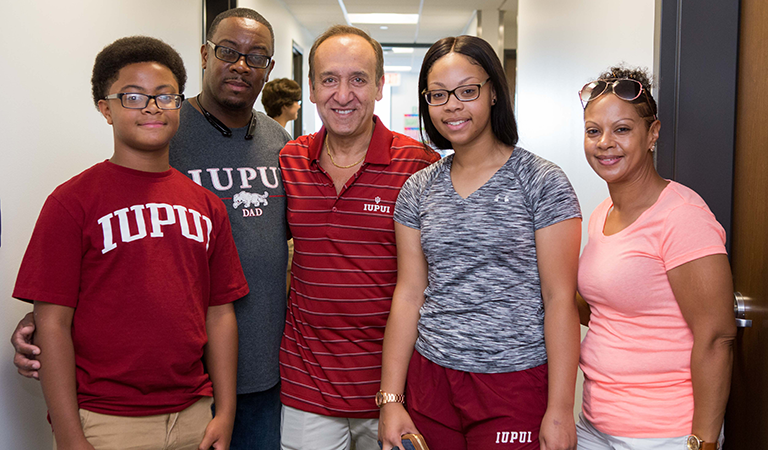 Chancellor Paydar takes a break with @IUPUILadyJags. 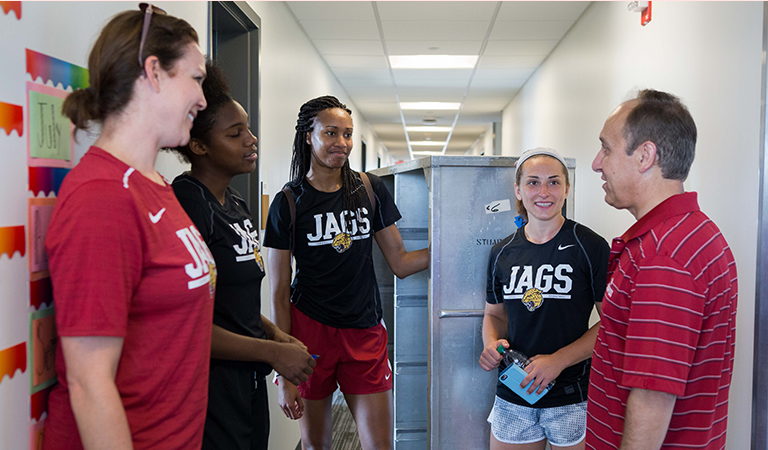 Coach Day and members of the Women's Basketball Team helped out Jaguars moving into @IUPUI's North Hall. Now this is a Jaguar family! 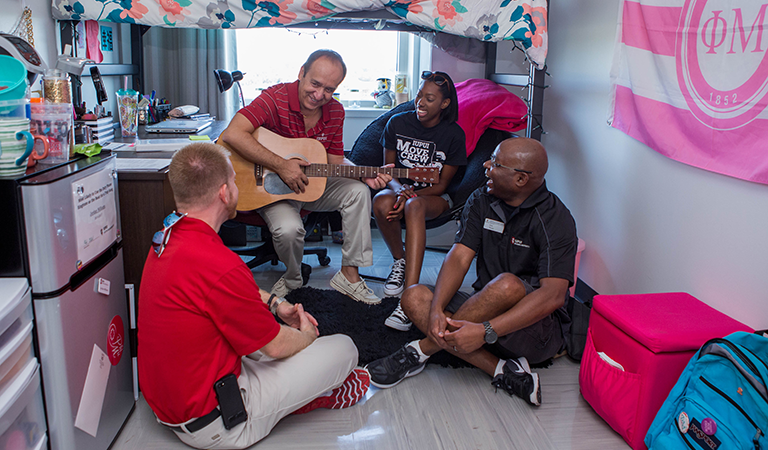 Chancellor Paydar, Dean of Students Jason Spratt (l) and Vice Chancellor for Student Affairs Eric Weldy (r) join Jordan Williams, Residence Assistant in North Hall for a very brief jam session during Move-In Day @IUPUI. 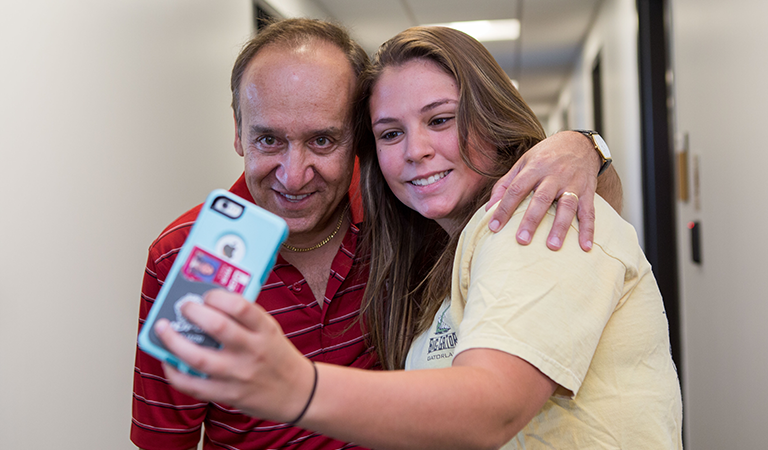 Chancellor Paydar takes a selfie with Kaela Weir (@KKaelaweir) during Move-In Day @IUPUI. 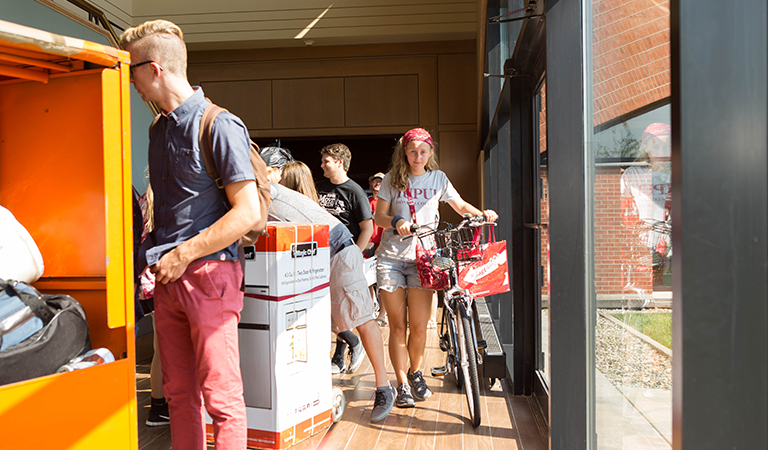 University Tower residents brought everything from soup to nuts to bicycles during @IUPUI Move-In Day. 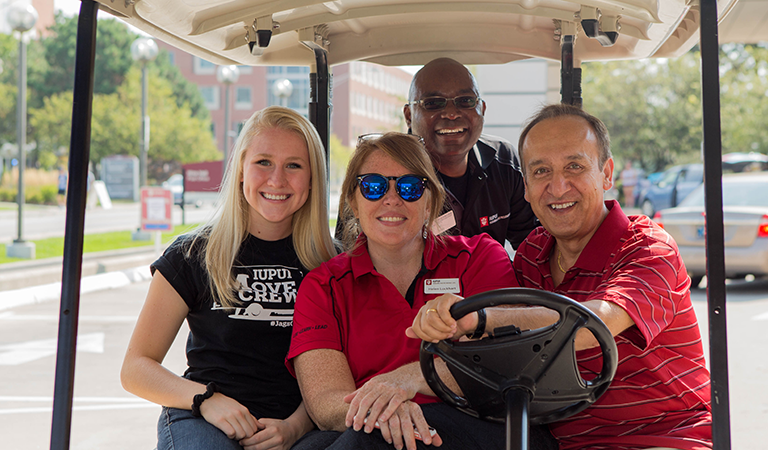 Chancellor Paydar hops on a go-cart with Vice Chancellor Weldy and @IUPUI Student Affairs staff during Move-In Day. 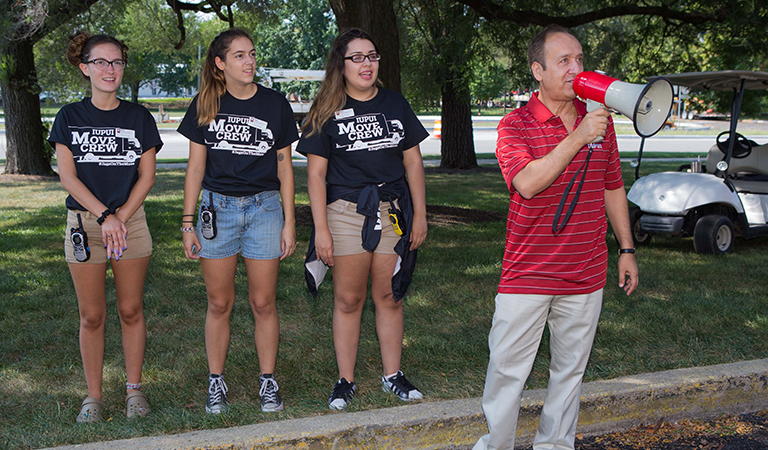 Chancellor Paydar got in on the @IUPUI Move Crew's bullhorn action at Ball Hall during Move-In Day. 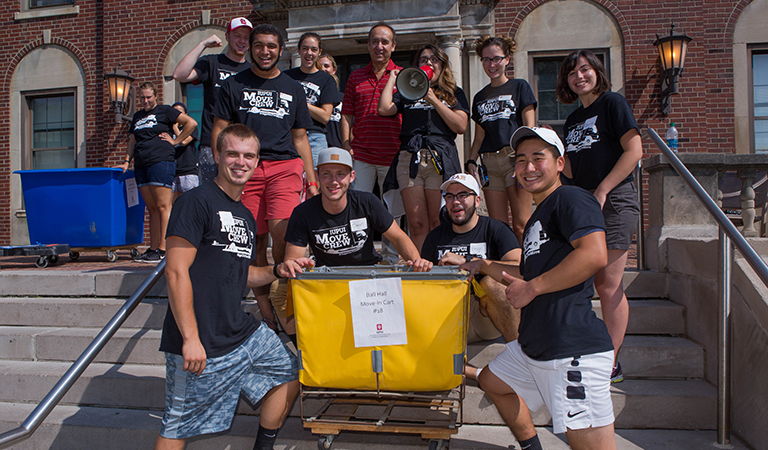 A great looking @IUPUI Move Crew at Ball Hall during Move-In Day. Post it to twitter with #JagsontheMove and tag @Paydar!